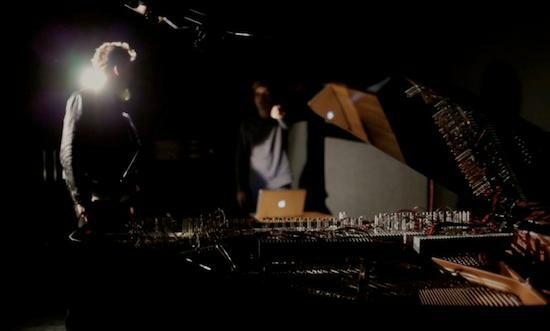 These New Puritans are participating in an exhibition showcasing their Magnetic Resonator Piano used on last year's excellent Field Of Reeds album. The piano is an electronically prepared instrument that, through the use of magnets, manipulates the instrument's strings in innovative ways allowing notes to be bent, sustained and dynamically altered to allow crescendos and swells. The instrument, along with other exhibits, will be triggered via motion sensors that allows interaction from visitors to the exhibition. The exhibition is housed in the Vinyl Factory's brutalist headquarters at 180 Strand from April 15 to 21 - full details are available on their website.